Where have all the witches gone? First it was vampires. For years, readers were inundated by a never-ending flood of them. Now, many cookie-cutter writers have jumped on the zombie wagon. Zombies, zombies, and more zombies. Perhaps witches, in their diverse forms, were pushed aside as unprofitable. What a shame. Thankfully, The New England Horror Writers have reanimated an almost forgotten staple of the genre–Witches. Unlike zombies, witches are not homogeneous. This factor is delightfully emphasized in Wicked Witches. 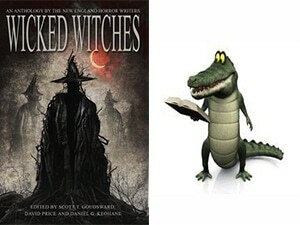 Wicked Witches is a kaleidoscopic collection of short stories all centered around witches. One very admirable aspect of the collections is the variety of characters, situations, and the witches themselves. Since no two plot-lines, characters, settings, or witches are alike, readers will be surprised by each tale. There are good witches and bad witches–young witches and old witches. The stories take place in the past, present and even in the future. One of the best tales is a humorous. In an era when harried readers can find less and less time to read, a collection of short stories will no doubt be a welcomed elixir for those burdened by onerous schedules. A linking table of contents would be a wonderful addition to this collection for readers who would appreciate the ability to make up of the book in a nonlinear manner. Discussing writing style is difficult due to the fact that Wicked Witches is a collection of various voices. Even though the collection is highly recommended, a few of the writers do not perform on as mature a level as others. 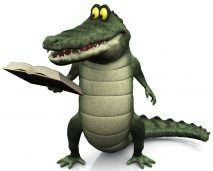 Perceptive readers may very well be disappointed by issues such as a massive overuse of participles, an underuse of commas, numerous indefinite references, and unfortunate metaphors. On the other hand, the collection contains a number of precious gems. Tell. In Agatha Craggins’s Defense, by John Mcllveen is one of the best. The tale takes place in Massachusetts in 1693. The protagonist’s voice is remarkably believable, authentic, and smooth. In addition to superior pacing and plotting, the author possesses a wonderful sense of irony. Portrait of an Old Woman with Crows by Peter N. Dunbar offers a fast-paced tale of one woman’s simple mistake. She disrespects a witch in hiding. The plot races on like a runaway train until a culminating conflict with witch and woman. Paul McMahon’s Baskets is another story that benefits from an outstanding use of irony. It is a great story with two very interesting and surprising characters. Most of all, the story is an exemplary demonstration of how showing is so very superior to telling. To Dance the Witches Circle Again by Morgan Sylvia offers a very interesting alternate view. The period piece takes place during an era of witch trials. Perhaps, the witches were smarter than history leads us to believe, again reinforced by an exquisite use of irony. The collection ends with an hysterical and undeniably human story. Moving House by Rob Smales will entertain even those with little or no interest in witches. Mr. Smales produces natural and downright realistic dialogue. His characters are so human, every reader will recognize them. Even the witch enhances the humorous nature of the story. There is nothing like saving the best for last. Those who love witches will no doubt be glad that The New England Horror Writers have chosen to honor their favorite genre.